I think every day’s gonna be my last. In the spring of 1967, U.S. Sens. Robert Kennedy of New York and Joseph Clark of Pennsylvania traveled to the Mississippi Delta to assess the effectiveness of the Johnson administration’s War on Poverty programs. Summoned to the region by Marian Wright of the NAACP, who had testified before Congress that people of the state were starving and suffering, the senators were stunned to witness the extremities of the state’s soul-crushing poverty, right in the middle of one of the wealthiest nations on earth. 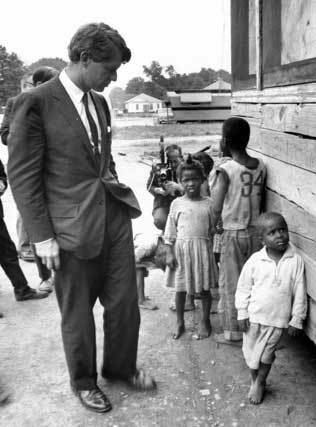 After repeated attempts to engage one young, seemingly non-verbal black child — his stomach swollen from hunger — picking through dried rice and beans on the dirt floor of a shack, Bobby Kennedy quickly turned and walked away. He didn’t want the cameras to catch the tears welling in his eyes. A half-century later, white Mississippians have voted again for politicians who seem bent on keeping too many of the state’s citizens wallowing in poverty, without health care, without affordable housing, without a living wage, and, increasingly, without hope. Both Senator-elect Cindy Hyde-Smith and Governor Phil Bryant carry on the legacies of their white Mississippi forefathers, suppressing black voters, raising the specter of racist violence, propagating factually ridiculous, racist lies, and keeping some of the poorest people in the United States, both black and white, trapped in cyclical poverty. Whether it was Hyde-Smith attempting to intimidate black voters by talking publicly about hangings in a state that led the nation in lynchings, or Bryant’s bizarre and inaccurate claims about black abortion, white politicians in Mississippi whipped up enough racist frenzy to clinch the election. I’ve even stopped believing in prayer. Cindy Hyde-Smith was nearly school-age when white supremacists assassinated Medgar Evers in Jackson, mainly due to his advocacy for black voting rights. Even more striking, an infant Phil Bryant rocked in a cradle in Moorhead, Mississippi, the same day racists murdered 14-year-old Emmett Till just 40 minutes down the road in Money. Hyde-Smith, Bryant, and their entire peer group well know of their state’s intensely violent history — they lived through much of it. Still, Hyde-Smith made what she deemed a “joke” out of lynching. Then, given multiple opportunities to apologize for her comments, she instead doubled down. Yet as Hyde-Smith surely knows, Mississippi leads the nation in the most reported lynchings of African Americans, both in terms of sheer numbers and per capita. Studying the years between the end of Reconstruction (1877) and 1950, the Equal Justice Initiative has confirmed at least 4,075 racial terror lynchings in the South. At least 614 of those lynchings took place in Mississippi. Lynching is public spectacle, used not only to “punish” the victim but also to terrify into obsequiousness all the people who observe the brutal murder. Even mentioning lynching is enough to evoke a visceral response from black Mississippians who suffered under the terroristic ravages of Jim Crow for generations. Comments like Hyde-Smith’s not only drive away foreign investment and economic progress in a place still so obsessed with the “Lost Cause” that the state’s flag still includes the Confederate Southern Cross, but they also add to the hemorrhaging of Mississippi’s young population. Talented millennials are leaving the state in droves due to its racist image, the lack of economic opportunities, and the near impossibility of upward mobility. For everybody knows about Mississippi Goddam. 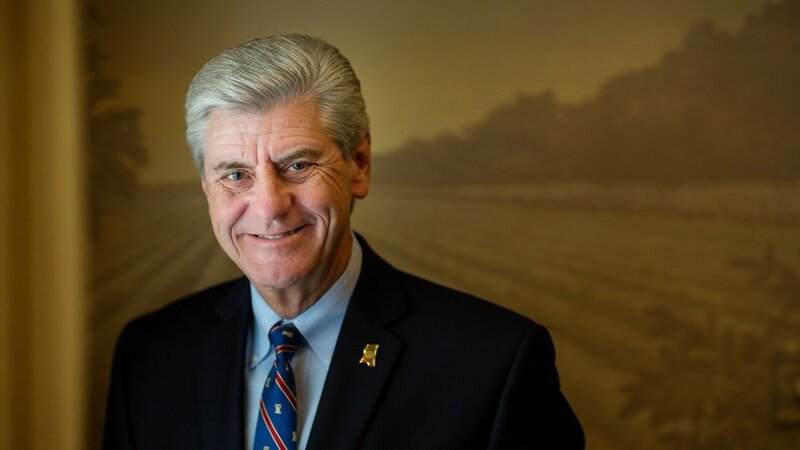 Although Phil Bryant was born in the Delta, by the time he was a teen his family had moved to the capital city of Jackson. After the U.S. Supreme Court forced Mississippi to desegregate schools in 1969, Bryant — like Cindy Hyde-Smith and so many other white children of economic privilege — began attending private schools. Just a few short years after Robert Kennedy had toured the Delta, pleading with Americans to take real and abiding action against poverty in America, Bryant began attending high school at Council McCluer. Known as a “segregationist academy,” Council McCluer was operated by the White Citizens’ Council. The school’s treasurer, W.J. Simmons, was one of Mississippi’s most vocal segregationists. What Bryant deliberately obscured in his comments, however, was the fact that Mississippi’s abortion rates are largely due to the state’s persistent poverty and horrifying system of health care — problems Bryant and his ilk have sustained and even exacerbated. According to Talk Poverty’s statistics from 2017, nearly one-fifth of Mississippi’s total population lives below the poverty line. The burden is even worse for the state’s children, of whom an astounding 27 percent live in daily poverty. The Magnolia State ranks 49th in the nation for poverty rates among working-age men, working-age women, and children, and comes in dead-last (51st) for overall poverty. The correlation between race and poverty is staggering. While 12 percent of Mississippi’s white population live in poverty, the numbers rise to close to 22 percent for Latinos, 31 percent for African Americans, and 36 percent for Native Americans. In other terms, nearly a third of black Mississippians, who comprise 38 percent of the state’s total population, live in poverty. Due to the ravages of history — from slavery and the failures of Reconstruction to modern-day tactics of redlining and the crisis of incarceration — poverty is nowhere close to an equally shouldered burden. There’s likely nothing more indicative of white privilege than the racial disparities of poverty in America. Mississippi is 46th in unemployment, 47th in higher education attainment, 48th in hunger and food insecurity, 49th in teen birth rate, 50th in assets and savings. To make matters even worse, at least 22 percent – approaching a quarter of the state’s population – had no insurance at any time in 2017. Simply put, Mississippi is the poorest, sickest state in the U.S. Under Gov. Bryant’s direction, Mississippi refused to expand Medicaid, denying coverage to well over 200,000 people. And because the state has one of the lowest eligibility caps in the nation, an additional 100,000-130,000 residents fall into the “coverage gap,” leaving them with no realistic access to health insurance at all. All told, the state is leaving $11.1 billion federal dollars untouched, all while its most vulnerable citizens go bankrupt and hungry trying to pay for cancer treatments, heart medications, broken bones, and even childbirth. For my sister my brother my people and me. Calling abortion “black genocide” that “no one wants to talk about,” Bryant erroneously claimed “over 20 million” African American women had abortions, a number entirely at odds with the Centers for Disease Control’s estimate of 35.9 million abortions provided for all women in America. And while African American women have abortions at higher rates than white women, that rate has been dropping quickly over the past few years – faster than have rates among white women. Repeatedly, studies have shown that access to contraception, especially long-term contraception, has the most impact on bringing abortion rates down. Yet due to Bryant’s assault on health care, Mississippi has the nation’s lowest physician-to-resident ratios. OB-GYNs are so rare that fewer than half the state’s counties have one — a crisis in women’s health care at the most fundamental level. Furthermore, Republicans have done their best to drive publicly funded clinics like Planned Parenthood, the most effective providers of contraception to poor women, out of the state. Although women’s health care, and especially black women’s health care, is in crisis at the national level, given the state’s austerity and anti-contraception ethos, the situation in Mississippi is even direr. Throughout the U.S., the CDC reports, black women are at least three to four times more likely to die from childbirth and pregnancy complications, a rate higher than poverty-ridden Mexico. American women are more than twice as likely to die in childbirth than Saudi Arabian women, and three times as likely as British women. Mississippi, deemed by the state’s own Jackson Clarion-Ledger as the most dangerous place in the United States to give birth, has seen maternal mortality rates climb over the last ten years. And risk differs by race: White women died at a rate of 29.3 for every 100,000 births, while black women died at a catastrophic rate of 54.7. Thus, as if the misery of a state awash in poverty, pain, and suffering — its residents denied health care and often denied a chance at escape, whether from poverty or locale — wasn’t enough, Mississippi also has the second highest rates of fetal deaths among all the states. When it comes to black infant mortality, however, Mississippi has the odious distinction of ranking first. Ranking first in the deaths of black infants: a fitting designation for a state ruled by people devoid of empathy, let alone the most basic tenets of morality. White Southerners like Bryant and Hyde-Smith may care about the abortion of the unborn, yet as soon as the infant emerges from the womb, the feigned morality stops. They care about the fetus, but not the baby. They care about the pregnancy, but not the pregnant. They care about their children, but not all children. And now, once again, white Mississippi politicians will help carry on the legacies of racism and Jim Crow, will worship at the altar of the slaveholders’ Confederacy, and will keep their state’s people ensnared in extreme poverty. The time for moral outrage — and concerted action — is now. Mississippi Goddam, indeed.